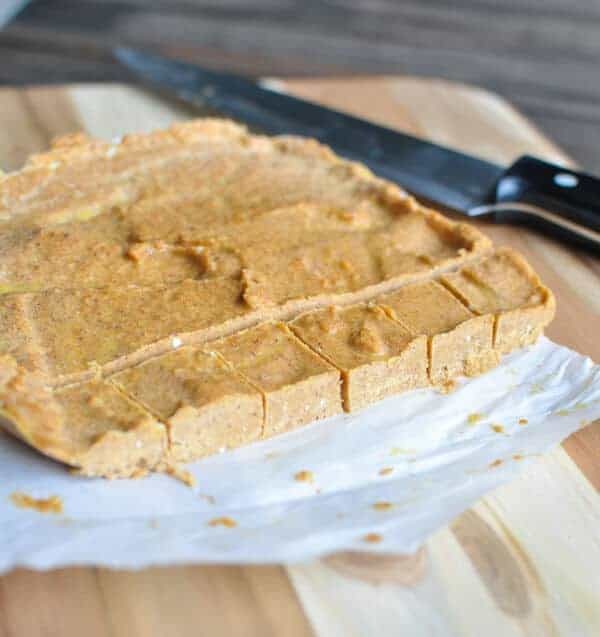 This Paleo pumpkin fudge only has 5 ingredients and all you do is mix them together and freeze for a few hours. 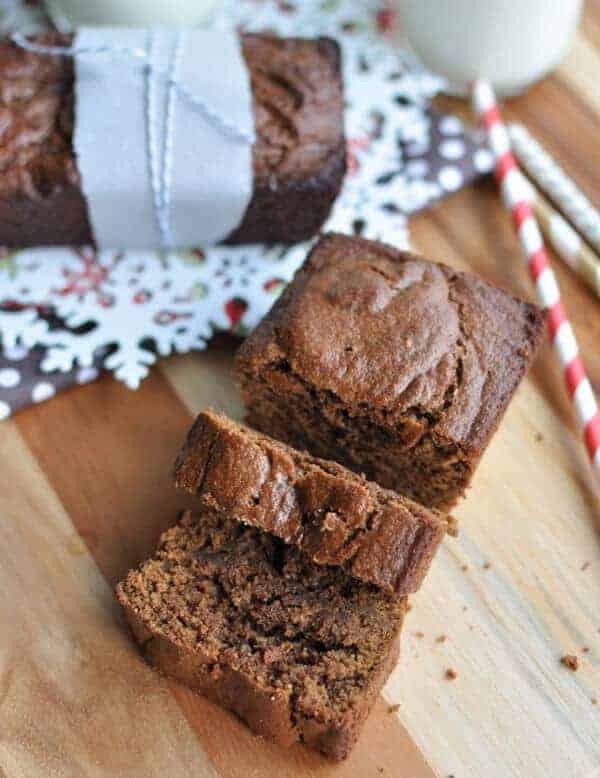 So easy and so good to have on hand for those times when you just want a little treat. I hardly eat anything sugary. After years and years of being on a Paleo diet, I just don’t even want it. I rarely get tempted at parties. A lot of it is because my body just doesn’t handle sugar very well at all, so that really helps my brain not even want it. But sometimes I just want something, just a little treat. And if I have a little treat, I want it when I’m alone. 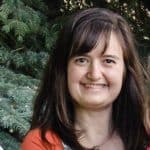 Am I weird? Anyone else like their treats alone? I just want to be able to fully enjoy and savor it and not shove it in, just for the sake of having a treat. So that means I’m one of those moms who put their kids in bed so I can sneak a few bites of a treat and enjoy it in peace and quiet while I watch Hallmark movies and snuggle under the comfy blanket my mom made me when I was 8. Oh, those are the BEST times ever. Luckily, this Paleo pumpkin fudge fits right into this model. It is sweet enough to be a treat but satisfying enough to be an afternoon snack. It really is like the best of both worlds. 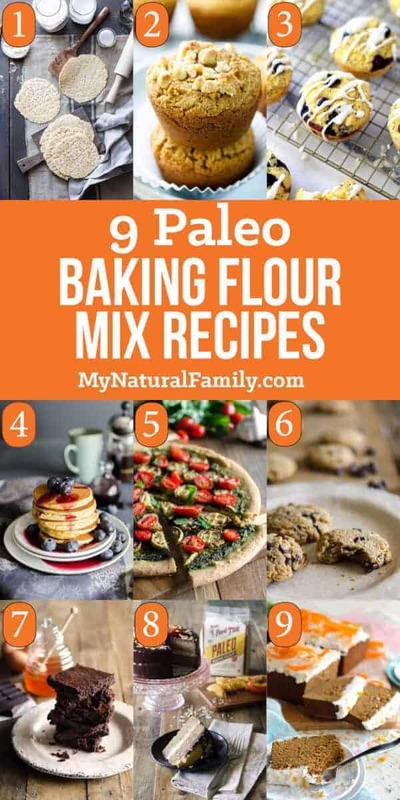 Plus, it is super easy to make – calling for only 5 wholesome ingredients and requires no baking – my kind of recipe! I can make it so I have it on hand and hide it in my downstairs freezer under a bunch of meat and sneak a little piece every once in a while. Luckily, it’s so easy to make and lasts for months, since it takes me months to eat it. 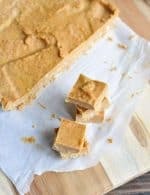 The thing about this Paleo pumpkin fudge is that it needs to be frozen, so, unfortunately, it doesn’t work well for kid’s lunches or for parties. And, I love that it doesn’t have much sugar at all in it, but some of my children don’t like it because it has pumpkin in it and they think it doesn’t have enough sugar. Their loss. The positive side of it being a freezer fudge is that it lasts for months, so it doesn’t go bad sitting on the counter as many sweets do at my house. 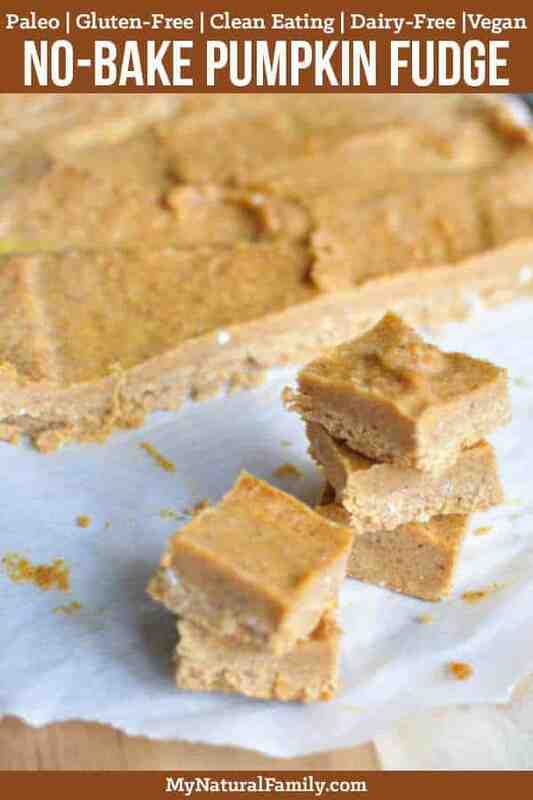 I would love to know if you try my Paleo pumpkin fudge recipe and what you think of it. Please comment below. I know it’s not totally refined and beautiful, but that’s really the beauty of it. We’ll call it rustic and super easy and not try to impress anyone with it. It does feed that primal need we have a little sweet every once in a while, though. I just made a double batch of this recipe and am freezing it now! I chose less maple syrup and decided to emphasize more spices individually (ginger, cinnamon, nutmeg, cloves, etc) – am loving the flavor in the unfrozen batch! I’m looking forward to checking it out after freezing as well -t hanks for the recipe! This is the healthiest fudge recipe I’ve ever seen! Someone try this and let me know if it is good. I’m too chicken to try it myself!